The CD49e antigen is the 160 kDa integrin α5-chain, which is composed of a heavy chain (135 kDa) and a light chain (25 kDa), linked by a disulfide bond. CD49e is non-covalently associated with the 130 kDa integrin β1-chain (CD29 molecule), forming the VLA-5 complex. 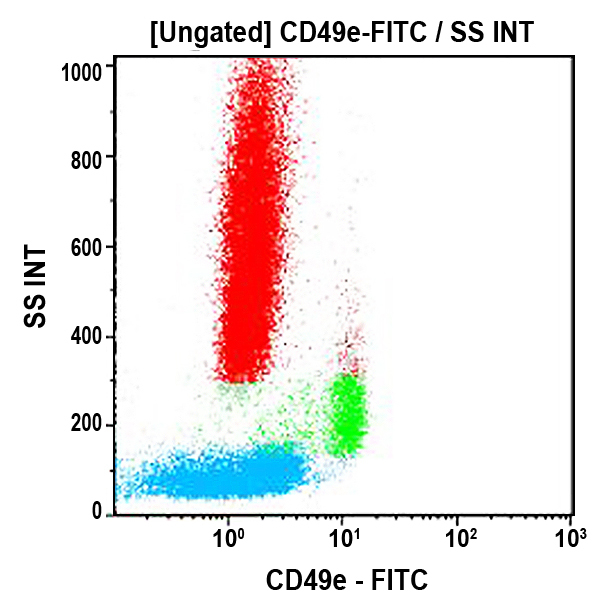 CD49e is expressed by monocytes, platelets and two myeloid cell lines (U937, K562). It is known as the fibronectin and invasin receptor. It is useful for basic studies of fibronectin-mediated adhesion.